120mL Sample Cups with graduations and a screw on lid for easy transportation of urine samples. This sample pot is a wide based pot allowing for the use of many drugs of abuse test panels as you will be able to dip the test panel to very bottom of the pot allowing you to test with the minimum amount of urine. 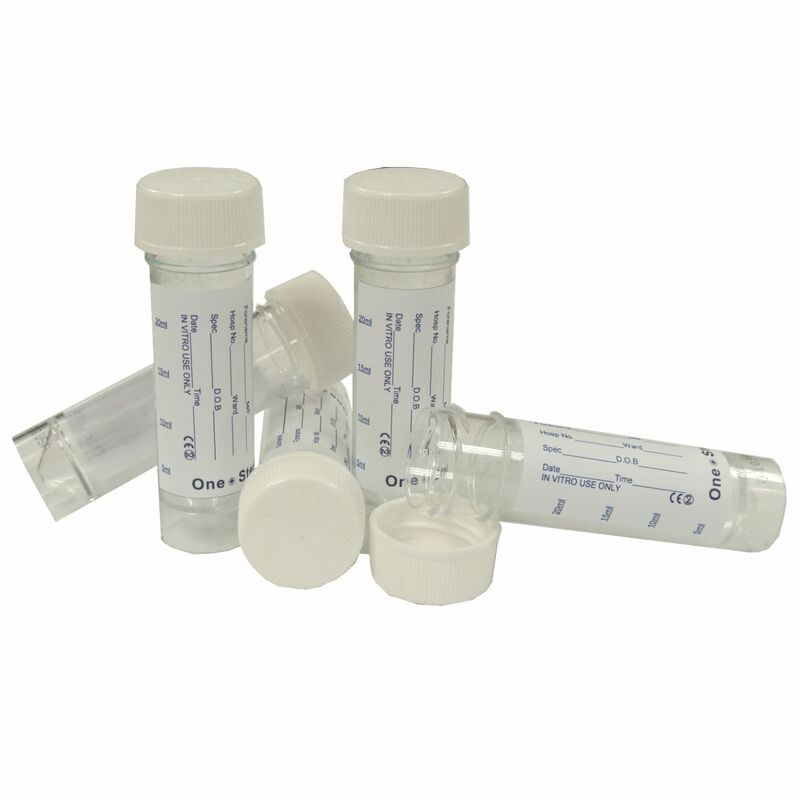 These are 120ml Sample Cups with a screw-on lid for easy sample transportation and for the testing of urine samples for drug, pregnancy, ovulation or any other test using urine as the test media. The sample cup has an embossed line calibration indicator on the cup so you can quickly confirm the quantity of urine collected. The sample cup has a large opening for several reasons including ease of collecting a sample. Also many people need to insert special test panels that can be quite wide. These sample cups will take a full size 10 panel drug test which is one of the largest urine dip tests we know of! The screw on lid allows collection and transportation without any spillage once sealed.